A tasty beverage recommended to me by my friend Carla. Even I was able to follow this recipe! Very tasty and refreshing! And chock-full of health benefits! 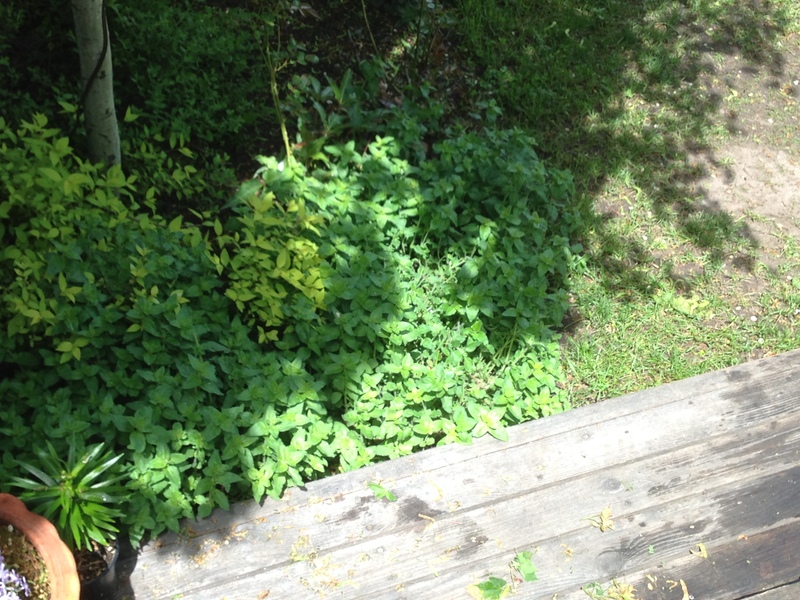 It too me back to the 90’s when wild mint was growing in abundance at the entrance to my suite in Vancouver. 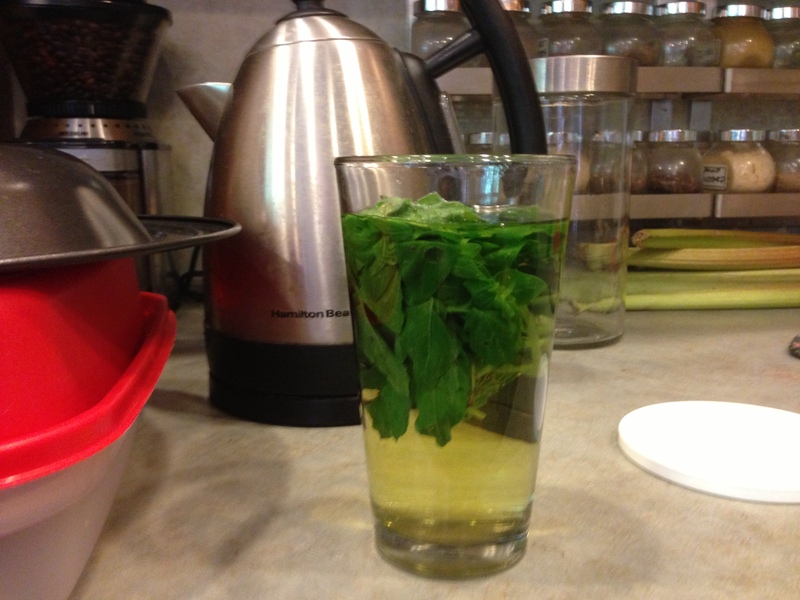 Mint tea was a staple for me for me and my friends that would stop by for a visit. 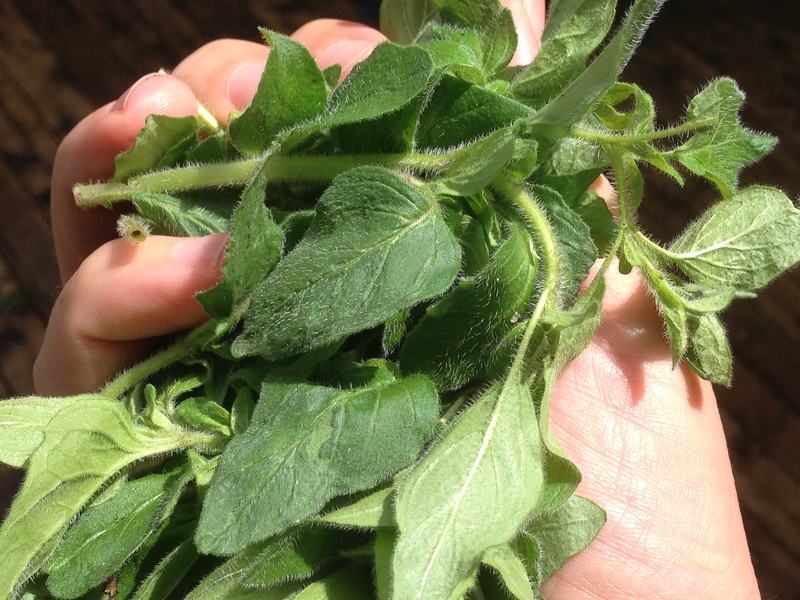 There is something truly amazing about the taste of fresh fruit, veggies and herbs straight out of the ground! I’m glad you enjoyed your oregano tea. I enjoyed hanging with you and the chillins. Thanks for linking to my sight! I will spend some time exploring yours. This is kind of what I want to do.